Firehouse’s intimate approach to dining fuses sophistication and history with everyday excellence in the heart of Old Sacramento. Showcasing a high-class dining experience for Firehouse’s audience. A visit to The Firehouse for Wine Tasting Tuesdays solidified for us what made The Firehouse so unique. The deep, rich, and beautiful red atmosphere inspired our designers to come up with an aesthetic solution that spoke genuinely to their brick and mortar atmosphere. 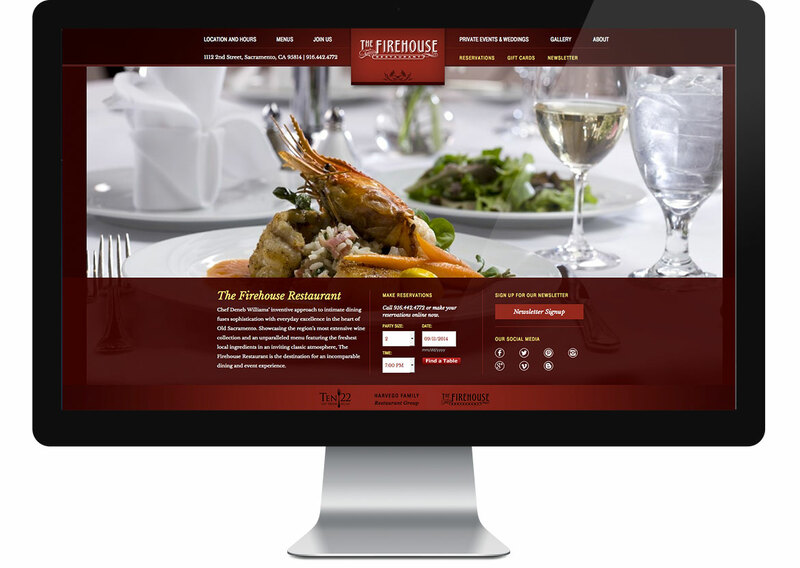 Emerging from a long-standing partnership with 3Fold Communications, The Firehouse web-redesign project was the second of two Harvego Family Restaurant Group projects (Ten22 being the first). The Firehouse is a fine dining staple in the Sacramento dining scene, and has been host to every California governor since their inception in 1960. 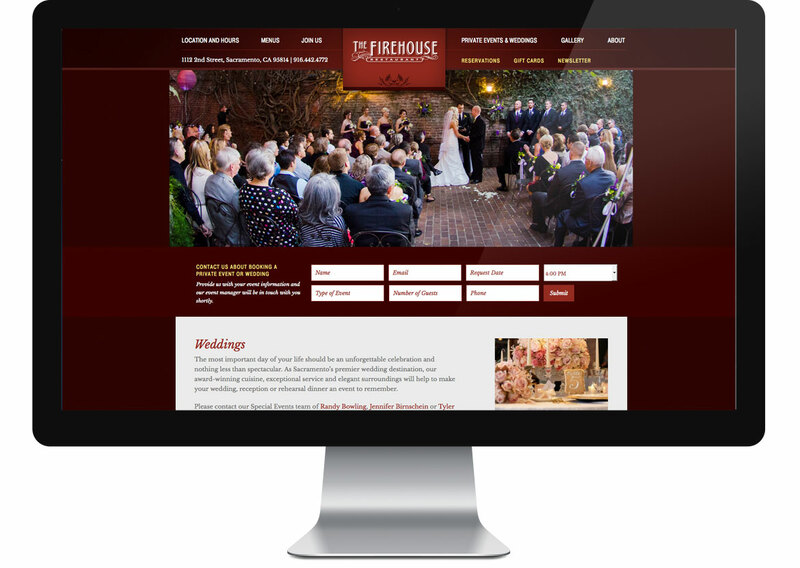 Customers of The Firehouse come to expect an elevated experience, and the website needed to reflect that culture, online. Large photography and the use of fonts was a strategy used by our designers to create a cohesive visual connection between Ten22 and The Firehouse, making sure visitors knew they belonged to the same incredible restaurant group. 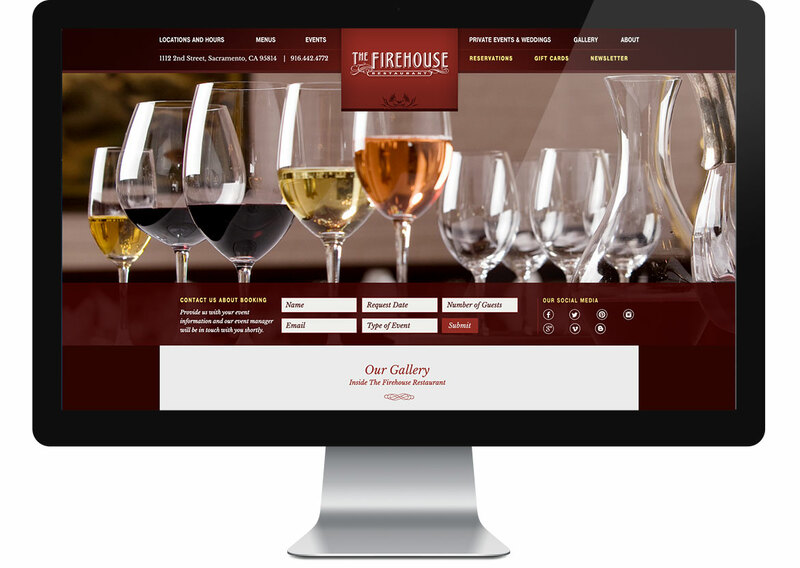 We made it easy for users to reserve a table at The Firehouse by including the reservation form in the center of every page, just below the beautiful photography that inspires them to book! The client didn’t have to learn different systems for Ten22 and The Firehouse. The management of both websites remains cohesive, and manageable within the same system. 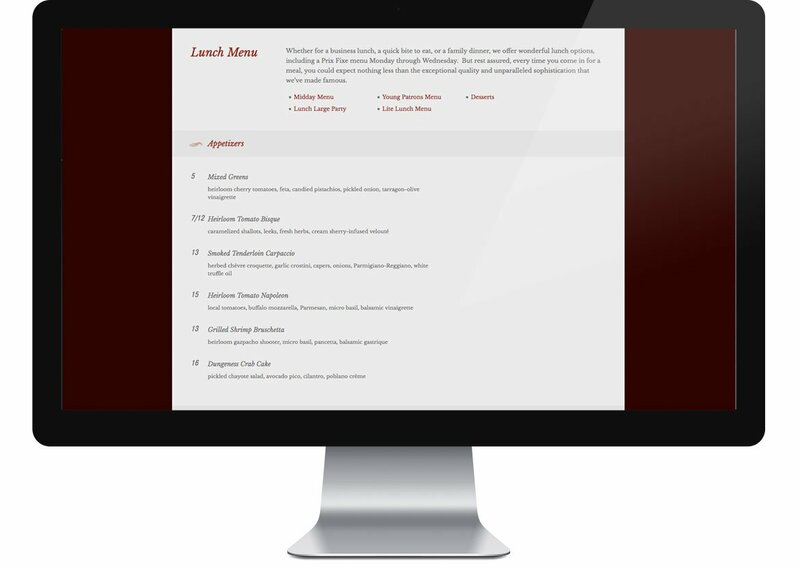 Adding new pages or updates menus couldn’t be easier. Just like their sister-site Ten22, this site is built on the Bootstrap 3 and custom WordPress theme base, making it simpler and more efficient to create a fully responsive experience. 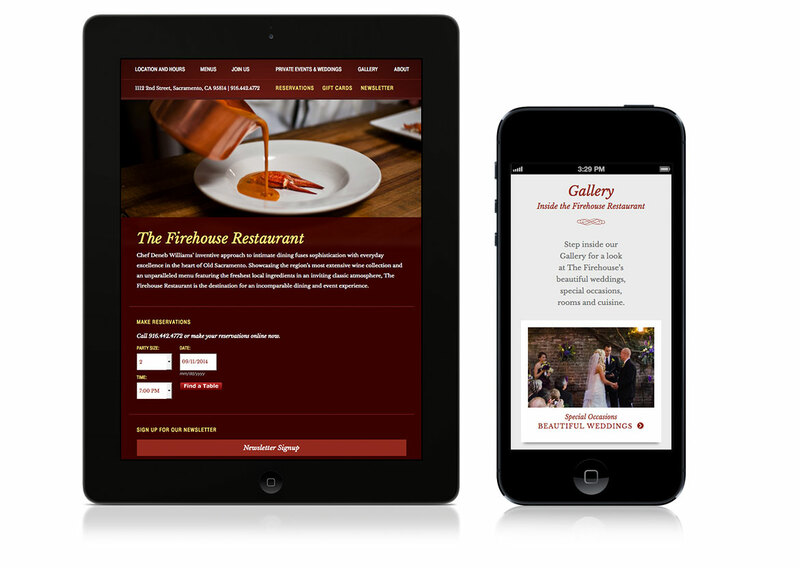 Users can access The Firehouse restaurant in Old Sacramento, on their mobile phones, on tablets, and on the computer, with the same incredible experience everywhere.